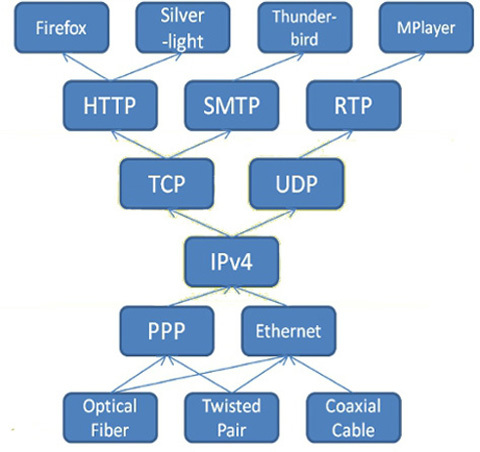 Computing Research Highlight of the Week (October 14-21, 2011): How the Internet Architecture got its hourglass shape. 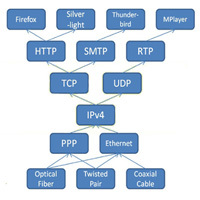 The Internet protocol stack has a layered architecture that resembles an hourglass. The lower and higher layers tend to see frequent innovations, while the protocols at the waist of the hourglass appear to be "ossified". 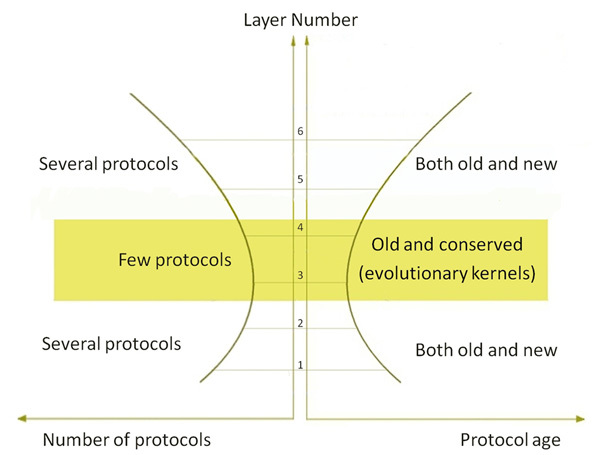 We propose EvoArch, an abstract model for studying protocol stacks and their evolution. EvoArch is based on a few principles about layered network architectures and their evolution in a competitive environment where protocols acquire value based on their higher layer applications and compete with other protocols at the same layer. EvoArch produces an hourglass structure that is similar to the Internet architecture from general initial conditions and in a robust manner. It also suggests a plausible explanation why some protocols, such as TCP or IP, managed to survive much longer than most other protocols at the same layers. Furthermore, it suggests ways to design more competitive new protocols and more evolvable future Internet architectures.